Almost 8 ft Polyethylene Telescopic Square Post with Hardware. Perfect for mounting pet waste signage and Poly Dogipot Jr.TM. 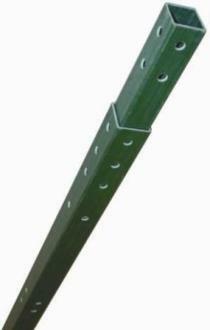 This post extends to any desired length between 4 ft and 7 ft plus. Shipping on this item is $11.50 each in the contiguous US (Hawaii or Alaska please email for quote). Go to top of this Dogipot Polyethylene Telescopic Square Post with Hardware 1304 page.